Be the first to share your favorite memory, photo or story of Judy. This memorial page is dedicated for family, friends and future generations to celebrate the life of their loved one. 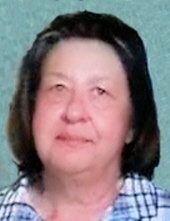 Judy E. Parker, 69, of Danville, VA and formerly of Troy, NY passed away peacefully at her residence on January 18, 2019 with her family by her side. Born July 23, 1949, she graduated from Troy High School in Troy, NY in 1966. She later attended Danville Community College and graduated from the Nursing program as an LPN with a passion for mental health. Judy worked 20 years Southern Virginia Mental Health Institute and 12 years at Danville Pittsylvania Community Services Board where she later retired. After moving to Danville, she was adopted into the Lea family where she inherited a second mother and gained four sisters, all of Danville. Judy is predeceased by her parents John and Beatrice, her second mother Eva Lea and a niece Sharon Gwynn. Judy leaves behind to cherish her memory two daughters, Tammi Hampton and Amber Morton, a special son in law Tyler Hampton, three grandchildren Brandi Parker, Richard Lipscomb and Ambria Morton, two great grandchildren Jade Turner and Serena Walden, four sisters Ann Price, Barbara Hardy, Mary Williamson and Brenda Gwynn (also her best friend), a host of nieces and nephews including one special niece Cheryl Smith and four special nephews Gregory Gwynn, Steve Price, Brad Price and Jermaine Price. Judy especially enjoyed her yearly vacations with her children, grandchildren and great-grandchildren at Myrtle Beach. Judy was a faithful employee, friend and nurse to many. Judy will be missed by many!!!! Funeral services will be held at 2 p.m. Wednesday, January 23, 2019, at Norris Mt. Hermon Chapel with Pastor Lashawnda Reynolds officiating. Interment will follow at Highland Burial Park, Danville, Va. The family will receive friends Tuesday, January 22, 2019, from 6:00 – 7:00 p.m. at the funeral home and at other times at the home of her daughter, Tammi Hampton. Norris Funeral Services, Inc. & Crematory, Mt. Hermon Chapel, 3995 Franklin Tpke., Danville, Va. is respectfully serving the Parker family. Online condolences may be made at www.norrisfuneral.com. To send flowers or a remembrance gift to the family of Judy E. Parker, please visit our Tribute Store. "Email Address" would like to share the life celebration of Judy E. Parker. Click on the "link" to go to share a favorite memory or leave a condolence message for the family.